We do preventive and restorative procedures, such as teeth cleaning with Fluoride treatment on children starting at 1-years old. We can also provide Nitrous Oxide sedation. This helps children during treatments such as fillings, crowns, extractions. 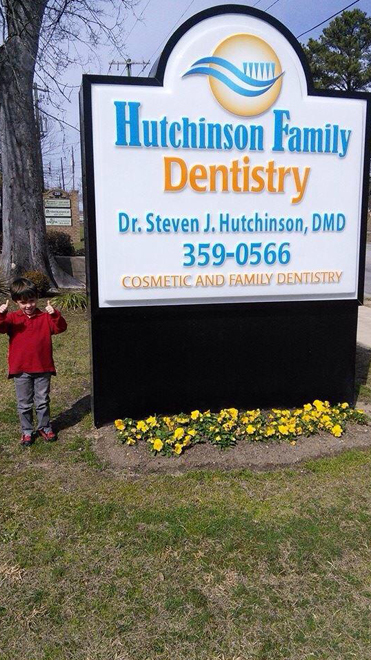 Dr. Hutchinson is excellent with children, working for over a year in a pediatric dental practice. Hutchinson Family Dentistry provides fast appointments for all emergency dental procedures. Dr. Hutchinson performs tooth extractions of all but wisdom teeth, and also re-implantation of an avulsed tooth (displacement of a tooth from its socket due to trauma). We can also provide Nitrous Oxide sedation during emergency procedures.